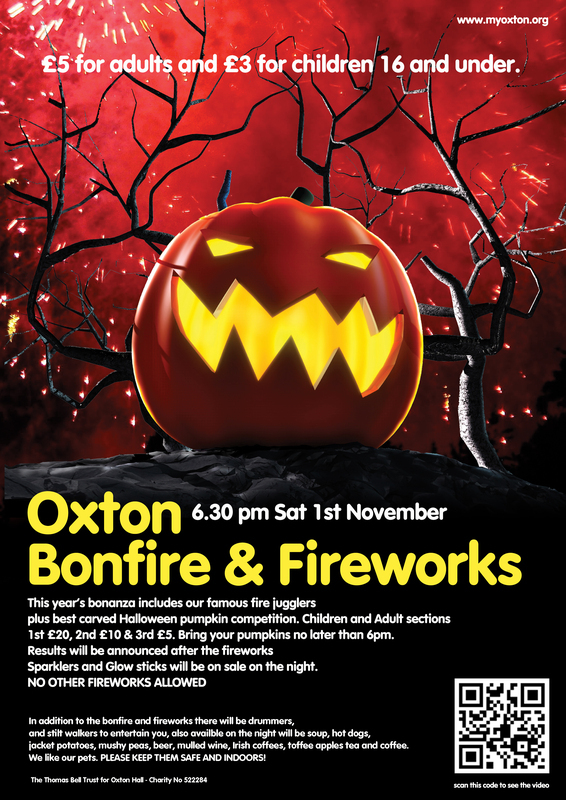 This year’s bonanza includes our famous fire jugglers, plus best carved Halloween pumpkin competition. There also will be drummers and stilt walkers to entertain. Spaklers and glow sticks will be on sale on the night. Plus soup, hot dogs, jacket potatoes, mushy peas, beer, mulled wine, Irish coffees, toffee apples, tea and coffee. The field containing the bonfire will be open from 12.00 to 16.00 on Saturday & Sunday 25th & 26th October for the receipt of materials for the bonfire. Please note that material must not be placed on the bonfire at any other time. The materials being put onto the bonfire will be supervised so that no dangerous waste such as foam-filled furniture, rubber, aerosols, tins of paint, pressurised gas cylinders, tyres, roofing felt and bottles will be accepted. No materials producing light ash which could blow about, such as corrugated cardboard, or materials which will produce excessive smoke, such as roofing felt, will be allowed.